The spirit of a young girl named Carrie was stolen by the shade of an enigmatic old man. She was lucky to find an ancient compass but its pieces are thrown about in various directions under the water. 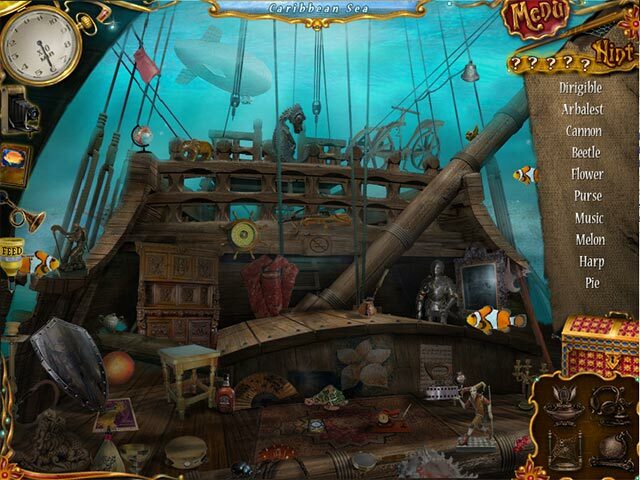 Your task in this hidden object is to embark on a voyage by ship and search for concealed objects in splendid places like the Sea of Japan, the Caribbean,and the Nile. Are you ready? The time given for that is only 10 days. 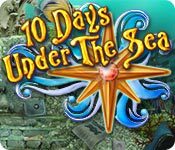 10 Days Under The Sea game is shareware, this means you can download and play 10 Days Under The Sea game for free during 1 hour trial period. After this period you have to buy the game for $6.99 or uninstall it. It works with Windows 98/XP/Vista. 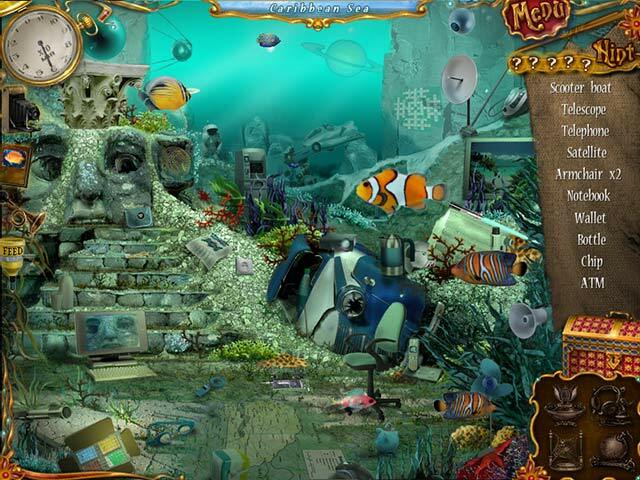 The presented 10 Days Under The Sea game does not contain any spyware and/or advertise modules, allowing you to install it without worries concerning valuable information loss. Downloading 10 Days Under The Sea game will take a few minutes if you use fast Cable/ADSL connection. 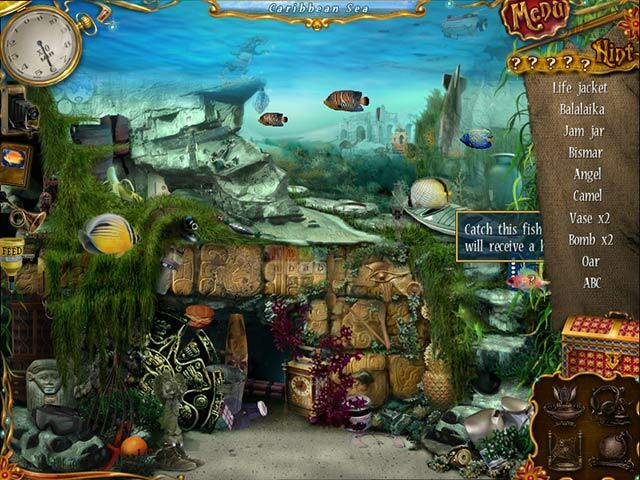 Download 10 Days Under The Sea game for free, play and enjoy it!